Cue points have been around since the original version of Storyline but did you know that Storyline 2 comes with the awesome new ability to trigger a cue point? This means you can now trigger your entrance and exit animations. 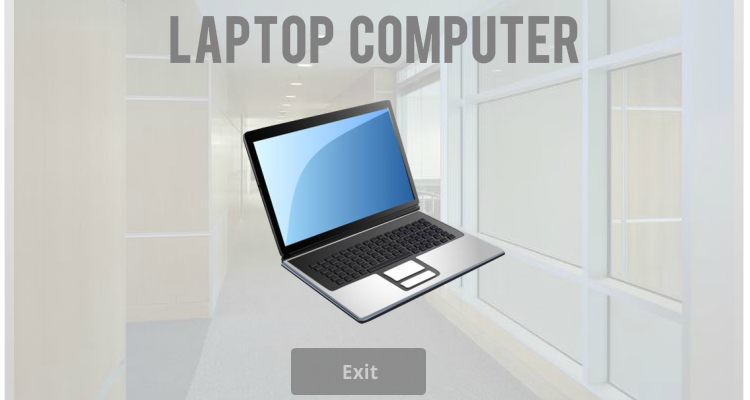 Check out the example below to see how I use buttons to trigger both an entrance and an exit animation on the laptop graphic. I started by inserting the graphic that I want to have enter and exit the slide (it could also be a shape, a text box, a character, or many other objects, but in this example I used a laptop graphic.). Next, I headed over to the Animations tab and added an entrance and exit animation to the graphic, and adjusted the duration of the animation. In my example I set both the entrance and the exit animation on the laptop graphic to last 1 second. I then inserted two buttons on the slide. One button to trigger the entrance animation, and one to trigger the exit animation. I’m almost done! My last step was to set up the 4 triggers. The first trigger pauses the timeline when it hits cue point 1. A second trigger, on the entrance button, restarts the timeline when the entrance button is clicked. At this point, the laptop graphic appears on the timeline. Then, a third trigger pauses the timeline when the timeline hits cue point 2. And finally a fourth trigger, which has been added to the exit button, restarts the timeline when the exit button is clicked. At that point there’s just enough time left on the laptop graphic to show the exit animation. And voila! That’s how you can use cue points to trigger animations with Storyline 2. Do you need a step-by-step video to help you through this process? No problem, just check out the video tutorial below for an even more detailed walk-through. Don’t forget to follow us on Twitter for all the latest news related to Articulate software and e-learning! This is fantastic, and solves an issue I was attempting to workaround this very morning! I'd like to know how you added triggers to pause the timeline at a certain time. I'm assuming they're cue points. I must be missing something, because I don't any reference to a cue point when creating a trigger. Never mind, I found it. OK, let me ask this question. When I reach the end of the timeline, is there anyway to go to the beginning? Or better yet, is there anyway to jump from cue point to cue point? Paul, I've not used cue points that much but I don't think that's a feature. You should be able to jump to the same slide again when you reach the end of the time line. Make sure you adjust your slide start settings too if need be. This looks great and I tried to use it straight away. I'm not sure why but when I create the two cue points, no triggers appear. What am I missing? Hi Nicole, thanks for this it has got me part of the way through my current puzzle. I am trying to produce a video tour that pauses the video at a cue point and shows a layer with information on it. The user will then click the layer to hide it and the video will resume. It then stops at another cue point and the next layer appears etc. Problem I have is the layers seem to 'pop up' out of sync after the first one. Am I missing something? Demo does not for me.